[New York], [New York], November 6, 2018 – Exchange.Blue, an online exchange platform run by a team of young successful entrepreneurs, is proud to announce the unique service that now makes it possible to sell Bitcoin for Perfect Money and exchange Perfect Money for Bitcoin in an easy instantaneous process. This is an innovative P2P exchange platform that delivers secure digital currency service. Exchange.Blue brings the much-needed bridge between Perfect Money and Bitcoin. The move to incorporate Bitcoin transactions in Perfect Money has been welcomed by many users of the popular online payment system. Perfect Money is a well-known international financial service that allows account holders to make instant money transfers and payments securely over the Internet. The service has opened unique opportunities for business owners and internet users to conduct secure and timely financial transactions online. Exchange.Blue has now stepped in to fill the missing link between Perfect Money and Bitcoin. They have made it possible for Perfect Money users to sell Bitcoin or exchange their currencies in Perfect Money to Bitcoin. Given the high levels of security and confidentiality in both Perfect Money and Bitcoin transactions, Exchange.Blue provides a quick, secure, and seamless link between the two platforms. Perfect Money is known for having zero tolerance for chargebacks while Bitcoin transactions are irreversible. This is why Exchange.Blue doesn’t require verification to make a transfer from one exchange to another. All the customer is required to do is to fill up a form on the company’s website, enter a valid email address where the transaction details will be sent, and simply click the exchange button. After the transfer is complete the amount requested in Bitcoin will be immediately transferred to the customer’s address as stated in the exchange form. The exchange is completed in a quick and simple process. However, customers are advised that the exchange rate calculated by the company’s algorithms is only valid for 15 minutes after which a new rate kicks in. If the customer’s payment is received after the 15 minute period ends, then the rate will be recalculated according to the new market rate. Individuals and businesses can now exchange Perfect Money for Bitcoin or buy Bitcoin using Perfect Money with confidence. The Exchange.Blue platform provides a secure and efficient marketplace where users can instantly convert their Perfect Money currency in USD to Bitcoin. The company has a 24/7 live support to assist customers in every step of the process, or in case of any question or concern. Exchange.Blue is an online digital currency exchange platform run by Capital Markets Consulting, a company registered in Ukraine. 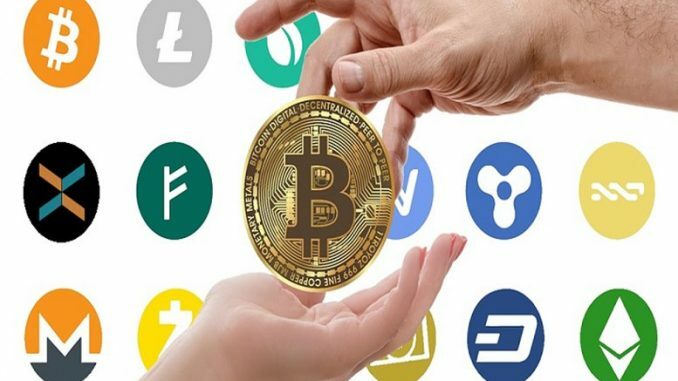 It’s an online Perfect Money verified currency exchange platform started by a team of young entrepreneurs who have been in the cryptocurrency business since 2017. The company was started after the founders identified a deep gap in cross-currency transactions, especially the limited number of online payment wallets that accept both fiat currencies and cryptocurrencies. The company has an open-minded approach to revolutionizing the future of cryptocurrency exchange industry. Excange.Blue’s mission is to keep on delivering high-quality service and the most honest exchange experience to both Bitcoin and Perfect Money users across the world. Their vision is to become a trusted leader in the financial exchange world by nurturing a client at a time. The company is founded on a solid foundation that is secure, honest, innovative, responsible and fast. According to the company’s CEO, customers can now look forward to benefiting from the company’s top-notch experience in the cryptocurrency industry for faster, secure, and reliable services. Exchange.Blue promises to keep on providing their clients with the most competitive rates when it comes to Perfect Money and Bitcoin exchange. They are not only providing the best rates but are also committed to charging the lowest fees possible. Security is another factor the company holds in high regard. It’s a top priority in every transaction the company handles. Customer information is never shared with other third parties while each transaction is handled with the highest level of anonymity. Users of the exchange platform are never required to divulge personal data such as name, address, or telephone number. As Bitcoin becomes more accepted worldwide, Exchange.Blue’s innovative platform has bridged the gap between Perfect Money and Bitcoin.